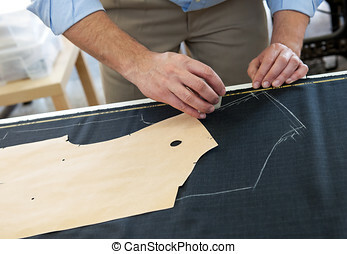 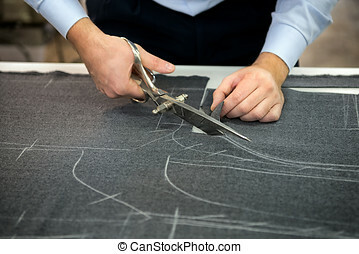 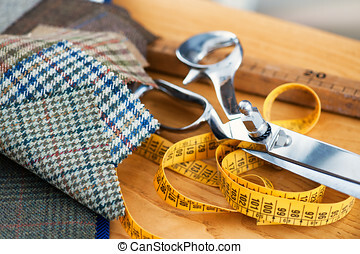 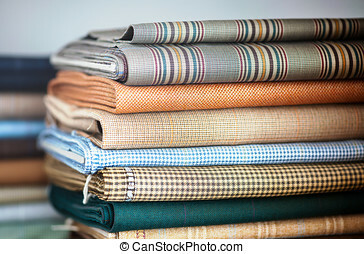 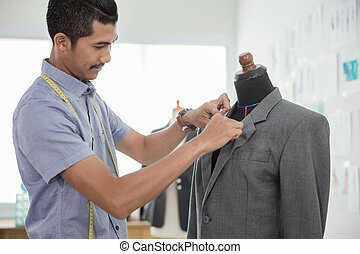 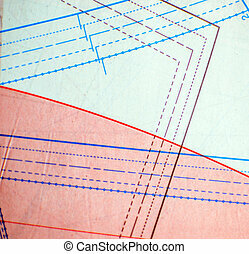 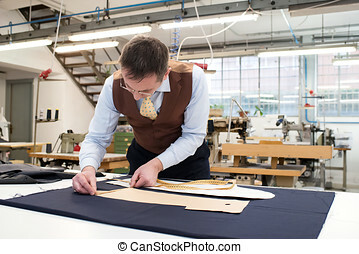 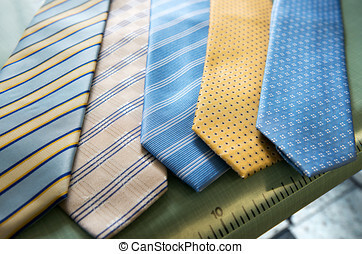 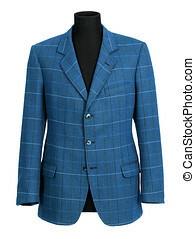 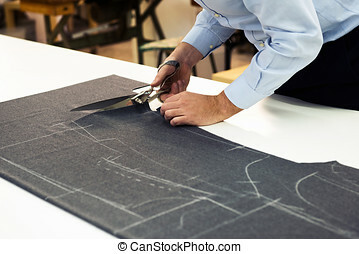 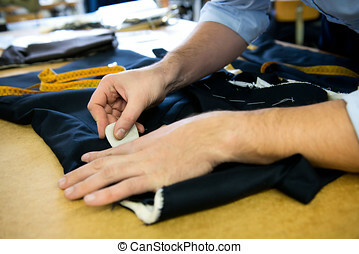 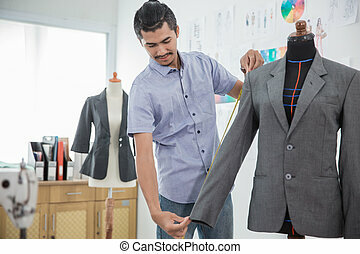 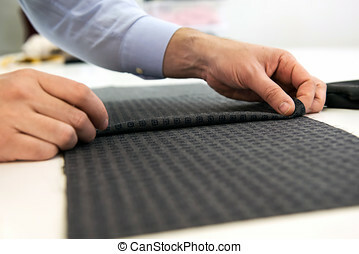 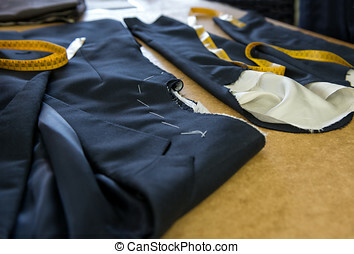 Clothing designer or tailor marking a pattern with chalk on a length of material for a tailored handmade garment, close up of his hands. 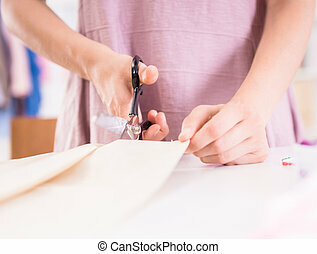 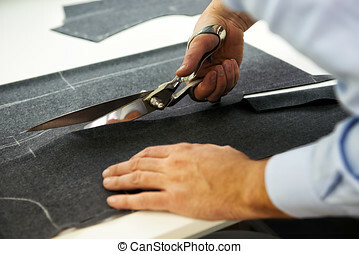 Female tailor cutting a part of cloth with scissors, close-up. 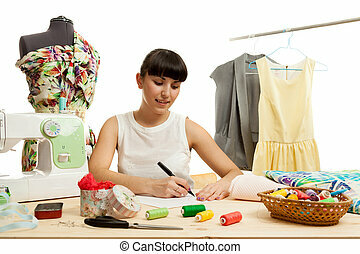 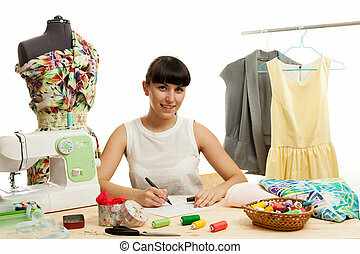 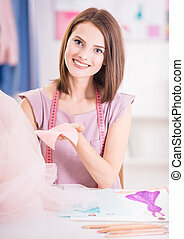 Attractive female designer with measuring tape on shoulders, holding a ribbon and sitting in her office. 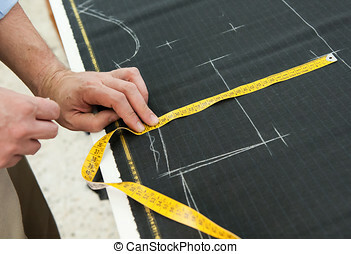 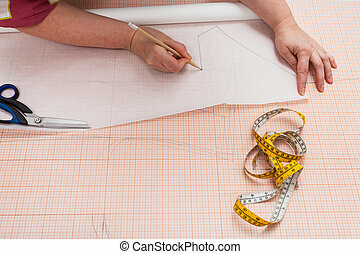 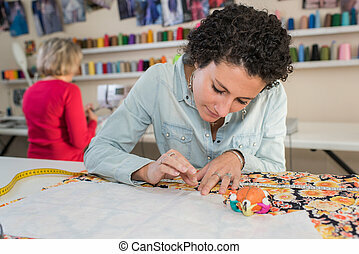 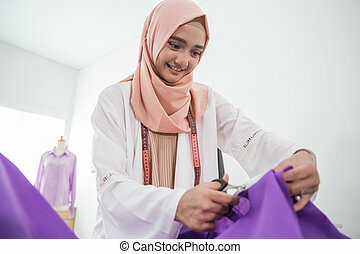 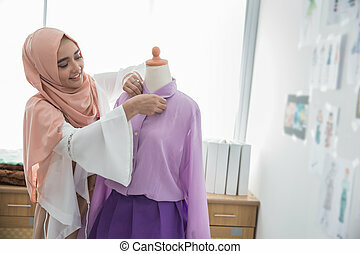 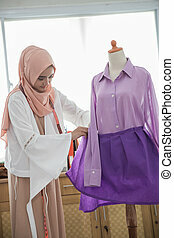 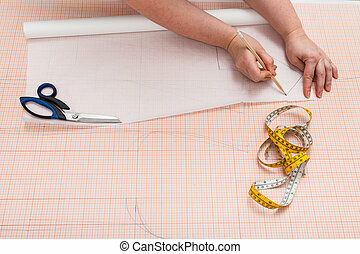 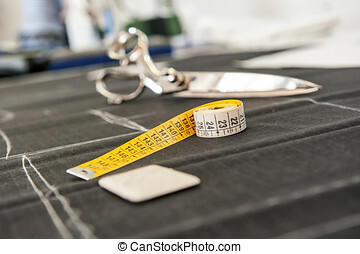 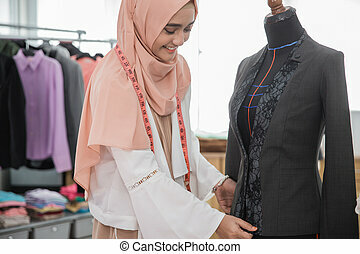 Female designer with measuring tape on shoulders, holding a piece of cloth and sitting at her workplace.